At Heritage Training and Shooting Center, we make the Maryland Wear and Carry training easily accessible for your busy schedule. With our modular training format, you can take two consecutive or separate days of training when it fits in your schedule to earn the required 16 hour Maryland Training requirement. We will make sure to provide consultation and insight at each step of your training to help you towards the Maryland Wear and Carry requirements. We also provide Livescan Fingerprinting and will assist you in completing your MD Wear and Carry Application. Passport Photos and Fingerprinting Services are available 9am - 9pm daily. Completion of all training does not guarantee approval for the MD Wear and Carry Permit. All applicants will be interviewed by Maryland State Police and the decision will be made by them. This 8-hour course is the first of two modules needed to satisfy Maryland's Wear & Carry's 16-hour training requirement. Wear & Carry Day 1 provides students with situational awareness skills, conflict avoidance, and why seconds count in a situation. Throughout the training, you will have the unique opportunity to handle a variety of firearms to ensure you have the best tools for your self-defense plan. You will learn how to master the correct ‘building blocks’ and shooting fundamentals in order to turn correct and consistent practice into ‘muscle memory’. In the classroom, we will spend some time perfecting your grip, stance, trigger control and teach you how to ‘defensively’ draw from the holster. Your instructor will thoroughly explain Maryland firearm laws, transportation, and use of force. You must have basic handgun knowledge (ex. MD HQL, Utah CFP, Basic Handgun Course) before starting the Wear & Carry Training program. Holster Draw Exercise must be taken before registering for Day 1. See below for a Discount on Holster Draw Exercise Course Fee. Participants will learn how to use situational awareness to maintain safety. Participants will understand how using the ‘Color Codes of Awareness’ giving them the advantage in ‘conflict avoidance’. Participants will find out if action is faster than reaction and why ‘seconds’ count. Participants will learn what ‘defensive’ shooting is and how to do it. Participants will improve their grip, stance and trigger control. Participants will learn and practice the difference between point shooting and sighted fire. Participants will learn and practice how to use a ‘flash sight picture’. Participants will learn and apply the steps of a defensive holster draw. At the conclusion of the class, participants will have improved skill and confidence in the use of a defensive pistol. At the conclusion of the class, each participant will know how to make a home security and defense plan. Heritage will provide the firearm, ammunition, and holster for the Day 1 Module. Day 1 Module is 8 hours of active training. A 1-hour lunch break will be provided. A refrigerator and microwave are on site for your use. All students MUST wear range appropriate clothing including closed-toe shoes and a sturdy belt. This 8-hour course is the second of two modules needed to satisfy Maryland's Wear & Carry's 16-hour training requirement. Wear & Carry Day 2 provides you with a framework so that you are better prepared to face a defensive situation mentally, legally, and financially. Each student will learn about different types of flashlights, holsters, gun attachment lights, and their purpose in different situations. Students will learn how to properly perform dry fire drills, low light techniques, and shooting from behind cover. The course will conclude with a final proficiency test. This proficiency course was developed by the Maryland State Police in order to qualify for a Wear & Carry Permit. Each student will demonstrate gun safety and proficiency with a minimum passing score of 70%. 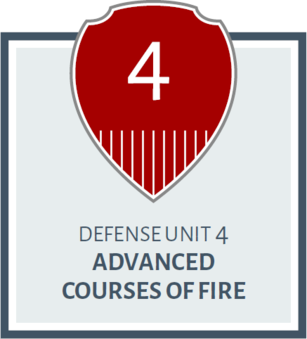 Students will gain knowledge of Dry fire drills for home use. Each student must bring his or her own firearm, flashlight, outside-the-waistband holster, sturdy belt and 150 rounds of ammunition. Day 2 Module is 8 hours of active training. A 1-hour lunch break will be provided. A refrigerator and microwave are on site for your use. All students MUST wear range appropriate clothing includeing closed-toe shoes and a sturdy belt. 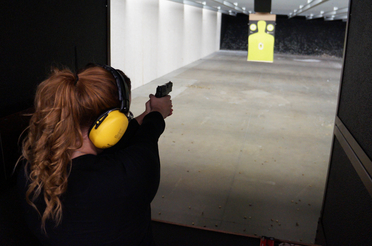 This course is the Maryland mandated 8-hour training required to renew the Wear & Carry Permit. This training takes place in the classroom and on the range. Maryland Certified Instructors will review Maryland Law, transportation of firearms, use of force and holster draw. The course will then move to range to practice basic and advanced skills including low light and barricade shooting. 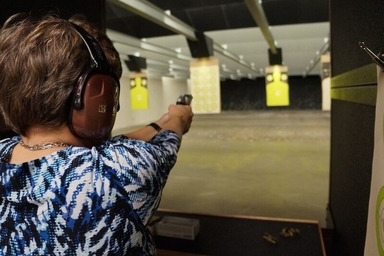 The course will end in the shooting of Maryland's Wear & Carry Proficiency Course. Students will learn Maryland Law on transportation of firearms and use of force. Students will learn techniques for one-handed shooting and put his new skill to the test on the range. Finally, students will shoot a culmination proficiency under the guidance of a Maryland Certified Instructor. Each student must bring his or her own firearm, flashlight, OWB holster, and 150 rounds of ammunition. Wear & Carry Renewal is 8 hours of active training. A 1-hour lunch break will be provided. A refrigerator and microwave are on site for your use. All students must wear range appropriate clothing which includes closed-toe shoes and a sturdy belt. Completion of all training does not guarantee approval for the MD Wear and Carry Permit. All applicants will be interviewed by Maryland State Police and the decision will be made by them.